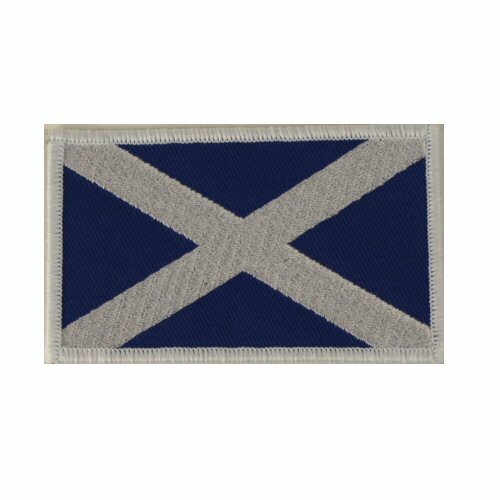 Sew on Scotland St Andrews flat patch in full colour. White embroidery on blue twill, with white merrow edge. Dimensions 3.5 x 5cm.